Click the button below to add the Spray Humidity Resistant to your wish list. Our Spray Humidity Resistant detangles, adds shine, protects and lightly moisturizes to eliminate fly-aways. This mist keeps hair soft and silky by adding a light barrier to keep locks frizz-free against humidity. 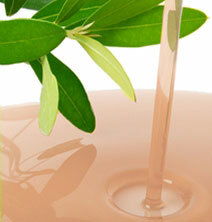 Soy Protein and Panthenol provide protection and strength to weak, damaged hair. Its lightweight formula will leave fine hair soft, bouncy and voluminous. Creates a barrier to help seal out water, moisture and prevent the development of frizz, even in high humidity. Within the first couple of uses, you will see this product transform frizzy, fine strands to smooth, healthy locks. Controls and smooths frizz while nourishing to help restore and protect. Protects against humidity and static electricity. Says weightlessly sleek throughout any weather to banish frizz. Deeply conditions hair from the inside out while adding a protective barrier on the outside for fly-away and frizz control. Aloe Vera Hydrosol protects and moisturizes both hair and scalp while balancing the pH. Conditions hair and prevents scalp irritation and inflammation. Daikon Radish Seed Oil fights hair fall while improving growth, imparting shine while fighting dandruff and scalp infections. 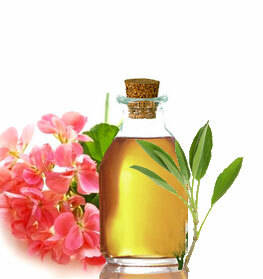 Jojoba oil can nourish the scalp and hair, preventing dryness and stimulating hair growth by increasing blood flow. Lightly moisturizes and softens hair, improving its luster. Soy Protein and Panthenol improve the strength and vitality of damaged hair strands, making the hair shinier, smoother and healthier. Atlas Cedarwood essential oil may help stop hair loss, especially hair loss related to stress and is beneficial for the maintenance of healthy hair and skin. Use on wet or dry hair to style or add a refreshing shine. Wet Hair: Before brushing and styling, spray onto hair. Dry Hair: Mist onto your finished hairstyle for a shiny, radiant glow. • Use the coolest setting on your blow dryer when you are done styling to prevent frizz. • Rinse your hair with cool/cold water to lock in shine. • Use a microfiber towel or cotton t-shirt to dry your hair. • Try not to touch your hair while it is air drying. Aloe Barbadensis (Aloe Vera Hydrosol), Raphanus Sativus (Daikon Radish Seed) Extract, Simmondsia Chinensis (Jojoba) Oil, Behentrimonium Methosulfate, Cetyl Alcohol, Caprylyl/Capryl Glucoside, Hydrolyzed Soy Protein, Panthenol, Dehydroxanthan gum, Cedrus Atlantica (Atlas Cedarwood) Oil, Citrus Sinensis (Orange) Peel Oil, Glyceryl Caprylate, Phenethyl Alcohol, Citrus Paradisi (Grapefruit) Oil. My husband and I both love this product. His hair is fine, and mine is quite thick, but this hairspray gives us both what we are looking for in a hairspray. It has strong hold but still lets your hair move nutritively where you want it to. We will keep on buying this product! I was very skeptical on buying a nutritive hairspray, even though I knew it would be better for my hair, I didn't see how it would hold my style without the harsh ingredients. WOW! This hairspray is awesome! I spray it on when my hair is wet and it adds a lot of volume to my hair. After my hair dries, I comb it to my liking and spray it again. I have been having more good hair days lately, than bad hair days!!! This product has done wonders for my hair. I recently started straightening it regularly, and it had become dry and brittle. I spray this on my hair, then blowdry it, then flat iron it, then spray some more for extra shine. Its not greasy, nor does it weigh down my hair, I recommend this for anyone with super curly hair like mine! It works extremely well and doesn't weigh my hair down. My hair feels smoother, softer, and it smells wonderful. Even my boyfriend, who hates hair products, lets me use it on him. It holds great in all kinds of weather- even in humid times and it holds my very thick hair without stickiness, or that helmet head look. I would recommend this product to EVERYONE. You will be pleasantly surprised by this hair spray. I was skeptical at first because I have tried the expensive brands and was not happy. This product will NOT weigh your hair down. You need very little and it WILL hold your hair in place. It does not feel sticky and my hair is nice and shiny. I love this product for my fine straight hair. I color my hair every 8 weeks and it is always an uncontrollable mess. I could never keep up with my stylist instruction for care. I bought the color care shampoo, conditioner, and this spray to maintain my hair. Thank goodness that I did so. When I spray my damp hair with this spritz, it feels very light and nongreasy for one. I tend to let my hair air dry and once it did, I was in shock. My hair was not frizzy at ALL. I live in Florida and the humidity does not help you maintain any sleek styles but this spritz will help. I have straightened, curled and blow dried my hair and it stays sleek the whole time. My second bottle of this spray. It keeps my color treated tresses soft and shiny. I use this spray before I flat iron my hair. I personally love how light weight and bouncy my hair is straight or curly. My mom compliments me on my hair and she actually took my last bottle of this spray. She loves it just as much as I do. I love, love this product, but the "dispenser" is not "good". Sometimes it works and sometimes it doesn't, otherwise this is a fantastic product!!!! Not only does it smell good and not weigh down my hair, but I don't have to worry about the frizzy fuzzies either. Frizz tamer that works and doesn't weight down! Absolutely love the lightness of this conditioner to control frizz, especially "humifidy frizz" from the weather. Knowing that you're not spraying a ton of unnatural and harmful chemicals on your hair is a huge plus. Short of making a leave in conditioner/frizz tamer yourself, this is the best! I don't know how this product works, but it does, and that's what's important. For decades, i have tried products looking for anything that would tame the frizz that explodes in Florida humidity. Spray Humidity Resistant totally works for me, without slicking or weighting my hair down. Awesome! For the first time ever, I like my hair in the summer. This product really works! I live in Michigan where the summers are very humid which causes my hair to get frizzy - especially the gray ones. I have thin, fine hair and this product does not weigh it down or make it look greasy. I spray it on before drying my hair and as needed throughout the day. It makes my hair soft and gives it extra body. I have naturally curly hair and the texture of my hair reacts to humidity by turning frizzy! This product has definitely helped to control my hair and keep the texture soft and frizz-free!! I just started using this product and will say I am most impressed. I have thin, fine, old hair and this has helped my hair maintain body throughout the day and in the humidity. I also use Herbal Gel with Essences #Styling#, along with shampoo and conditioner. Was looking for something that protects against heat, and can be used as a styling product. Works perfect! Not heavy at all. One spray is enough for my hair!! Great detangler!! Adds shine and protects against humidity as described. No matter what I used in the past my hair was ruined by the time I got to anywhere I was going. The humidity was to much and this continued for years. After trying this product, I noticed a significant difference in the first time I started using it. Such a blessing, will purchase again!